It seems like I am always making some sort of treat for my daughter’s preschool. I make a lot of cupcakes because they are cute, simple and loved my most. 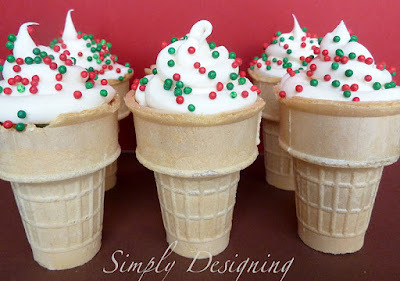 But I’ve always wanted to try to make cupcakes in ice cream cones. However, I always worried about how to keep the cones standing up while transferring the filled cone into the oven. It seems a bit messy to me and messy things aren’t simple, and we all know how I like to keep things simple. So when I found out that a cupcake cone stand existed, I was so thrilled!! Kupcake Konz has created this amazing cone stand that allows you to make, bake and transfer cupcake cones – simply! 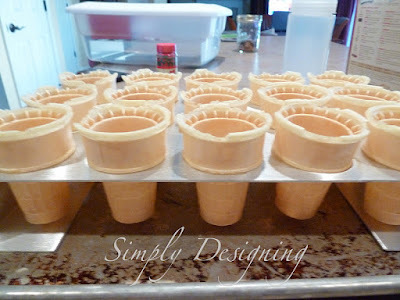 You set this handy cupcake cone tray on top of a cookie sheet, fill the tray with ice cream cones, put the cake batter into the cones and transfer the whole tray to the oven with no spills and hardly any clean up! Dare I say there is less mess with Kupcake Konz then there is with baking traditional cupcakes!?!?! Amazing! 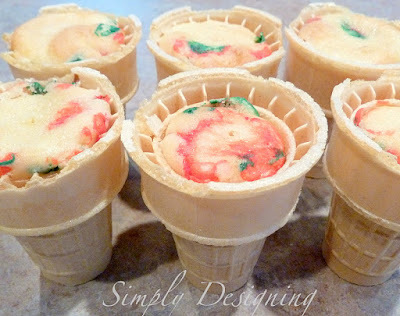 Plus, you can keep the cones in the tray while you decorate the cupcakes. Then, this tray can be transferred to the storage container that comes with the set for transportation. The cupcake cones NEVER tip, fall or get messed up. 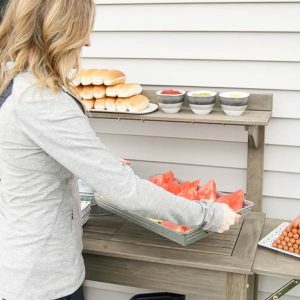 And the cone tray is made out of nice, heavy duty metal so it is very stable and durable! 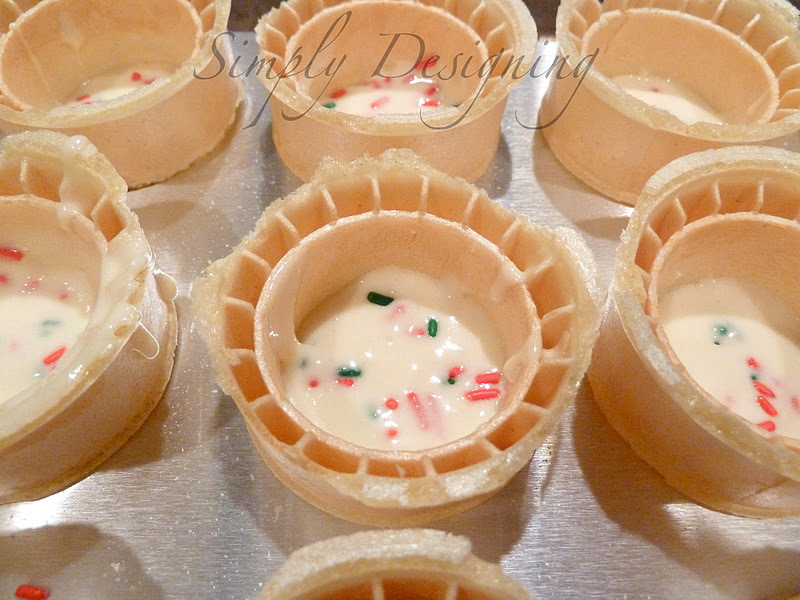 So I decided I wanted to test out the Kupcake Konz tray out while making some Christmas Cupcake Cones! 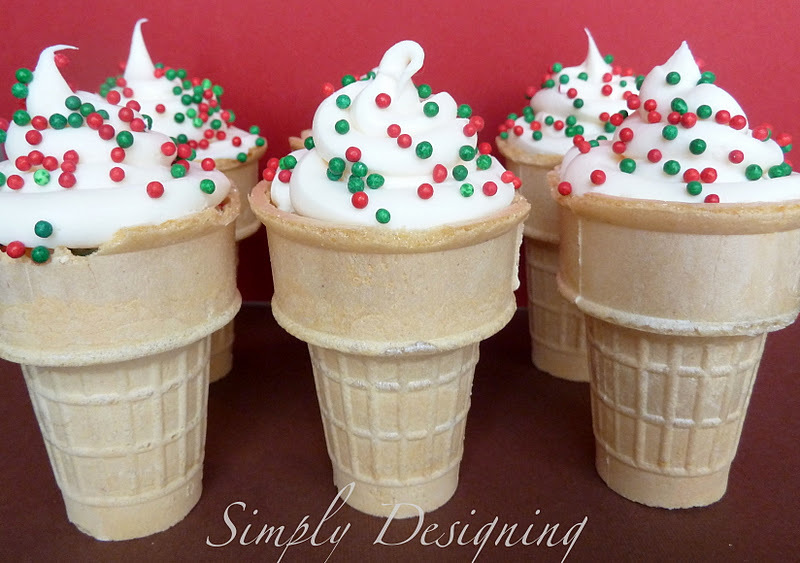 I decided to use regular sized cake cones for these. I mixed white cake batter (they recommend using cake batter without pudding in is such as Duncan Hines) and using a measuring cup, I filled the cones to the line (where the cupcake begins to flair out). Did you know, you can make your own funfetti-type cupcakes? Simple add a few jimmy sprinkles to each cone and gently mix into the batter using a knife! Then I baked at 350 until the cupcakes were done! After the cupcake cones cooled, I put my white icing in a large ziploc bag. I cut the corner off of the bag and piped the icing on top of the cone. It kind of looks like ice cream doesn’t it!? So cute. I found the cutest green and red round sprinkles at WalMart that I had to add to the top of these! I love how cute they are, how simple it was, and how yummy they really are! 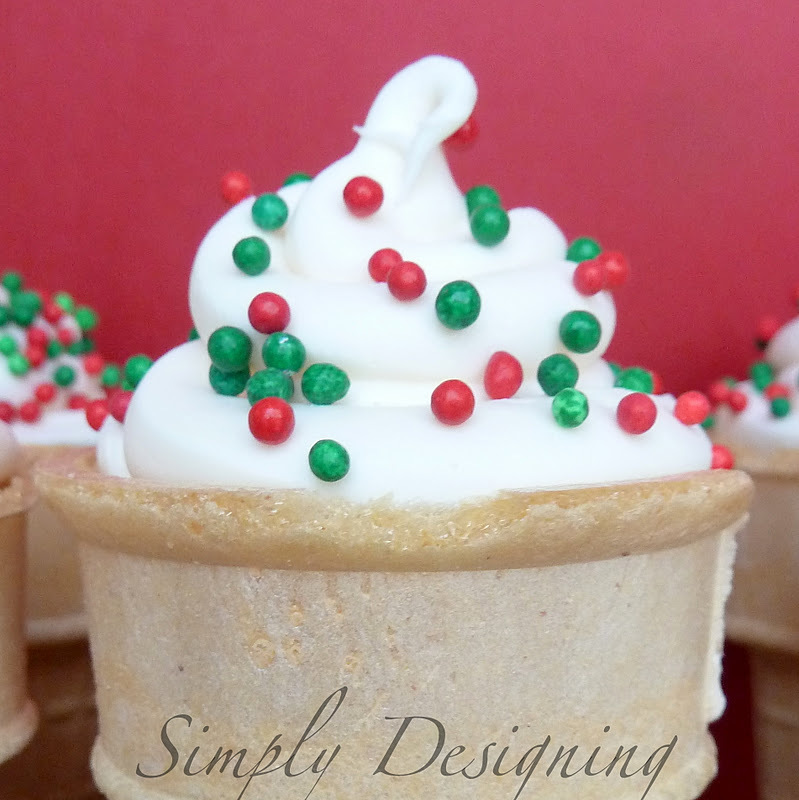 I don’t know why but the soft texture of the cupcake is a great contrast to the crunchy cone. I love my Kupcake Konz tray! 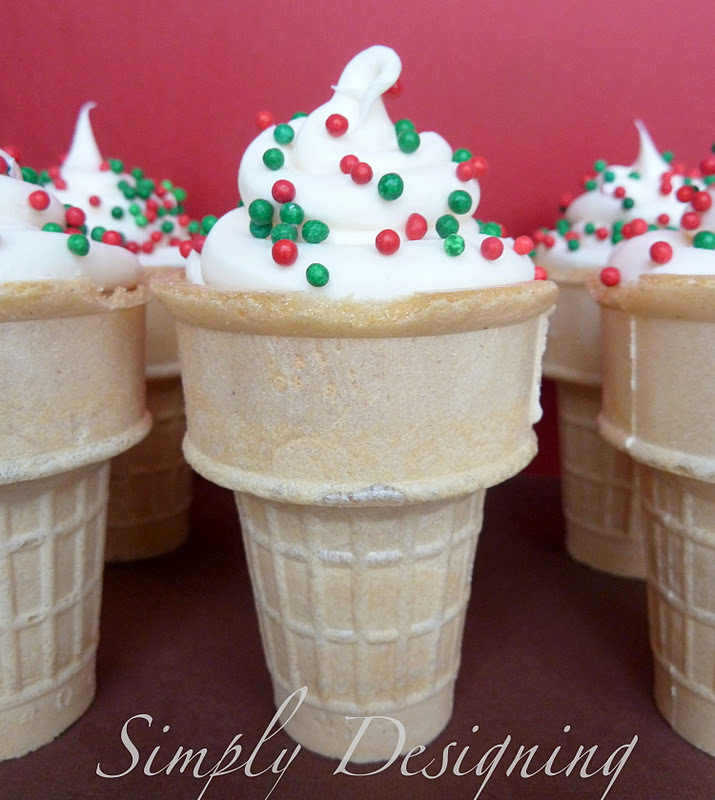 And almost just as importantly, my kids loved the cupcake cones!! And so did I! And so did my pregnant friend who happened to be here the weekend I made these. My friend and I ate most of these by ourselves! What can I say…they are yummy!! Now for the exciting part, would you like to WIN a KUPCAKE KONZ SET?! Tomorrow I will be hosting a GIVEAWAY for Kupcake Konz and I’m so excited! You will have the chance to win 1 Large Kupcake Konz pan, 1 Super Size Mini Pan and a storage container! So come back tomorrow for your chance to win! Until then, I want to know what your first kind of cupcake cones would be if you won this set? No compensation was given for this review, however Kupcake Konz sent me a combo kit for review purposes. All opinions are 100% mine! That is awesome!! 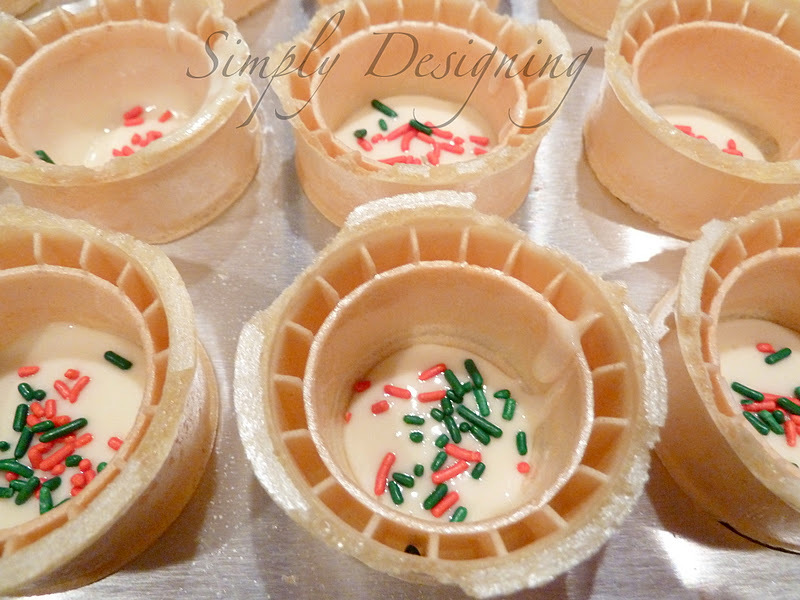 I&#39;ve made these a couple of times for my children&#39;s classes as well, always a hit!<br />I&#39;ve always done it in muffin tins, always being extremely careful taking them out of the oven. Then before transporting them to school I go and get a couple giant pizza boxes and cut x&#39;s in them to shove the cups into. <br />This is so much easier!! Thanks for sharing! !